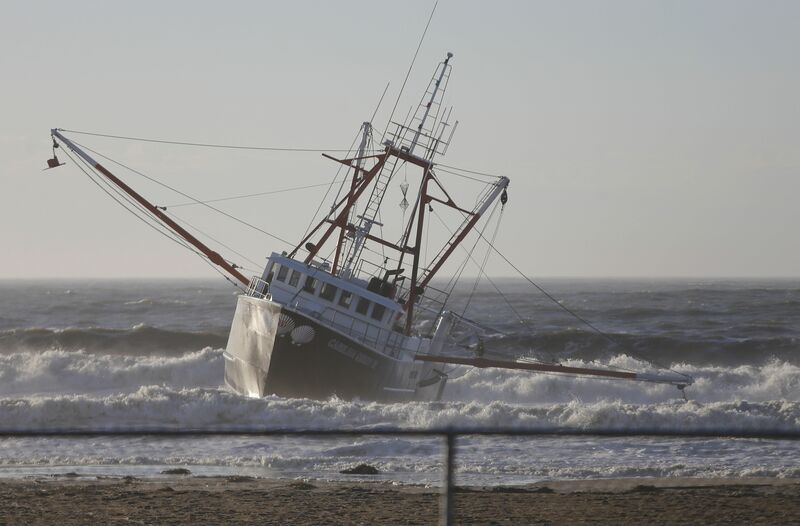 A U.S. Coast Guard vessel has capsized off Far Rockaway, New York, during a storm, according to the New York Daily News. The 25-foot-long ship, Response Boat Small, was responding to a grounded fishing boat on Thursday. It was hit by 10- to 12-foot waves before it flipped over in the East Rockaway Inlet at around 5 a.m., officials said. The five crew members aboard the vessel swam to the shore near Beach 19th St, a spokesperson told the Daily News. The Coast Guard ship eventually washed up on a nearby beach. The ordeal began at around 2 a.m., when the Coast Guard got a distress call from a 76-foot-long fishing boat that had five to seven men on board, CNN reported. It was taking in water, said Coast Guard Petty Officer Ali Flockerzi. 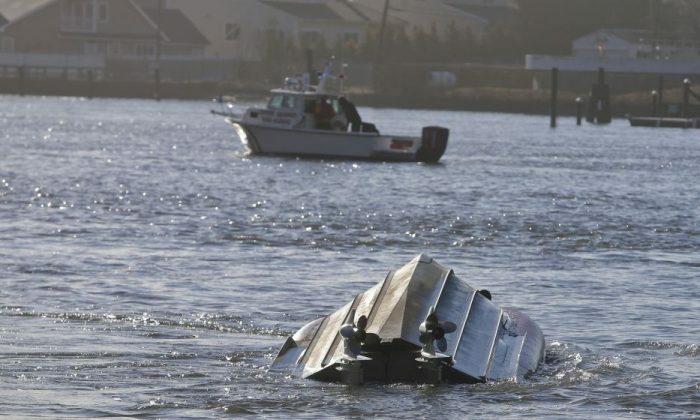 After the Coast Guard ship flipped over and the men swam to shore, the Carolina Queen II, the vessel they went to go help, was stuck. The Coast Guard eventually saved the crew via a helicopter. The waters off the Rockaways, located in the New York City borough of Queens, were under a gale warning on Wednesday night.